It’s her smile you notice first. 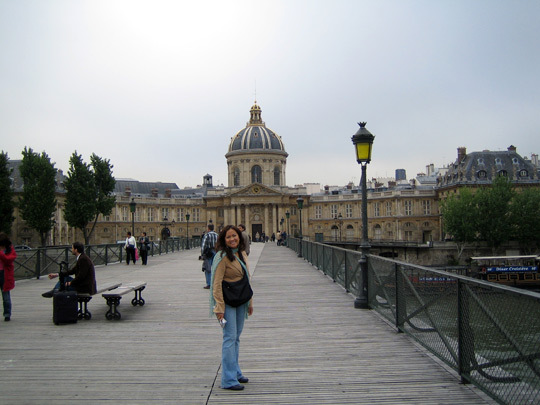 You’re strolling across the Pont des Arts bridge in Paris on a crisp, clear spring day when you see her standing by the railing, a shy smile on her lips, her hair swept in a chic chignon. A scarf is draped effortlessly around her neck, and she’s holding a bouquet of violets by her side. She pauses to take in the City of Light and the River Seine below, leaning against the railing with her hands tucked beneath her chin and staring off into the distance, her eyes faraway and dreamy. Ah, you know that look…the look of first love, when the mere thought of your beloved awakens every cell in your body with a tingling that begins at your toes and works its way up through your spine. A breeze turns toward you, bringing with it an intoxicating aroma of vanilla, rose, musk, black currant berries and violet. The girl breaks from her reverie, caught by your gaze, and smiles warmly. You return the feeling, knowingly, as you pass her along the bridge, recalling another time, so many years ago, when you, too, stood in almost the same spot, basking all-too-briefly in the same glow with your American writer, so tall and beautiful, with his brown hair and hazel eyes. Almost across the bridge now, you close your eyes once again and breath deeply, drawing in as much of the scent as you can, letting it sweep you up in its loving embrace. 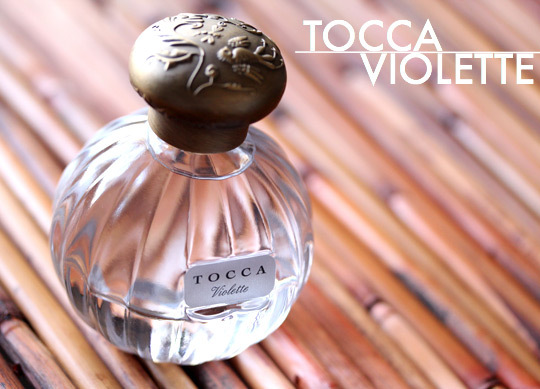 Inspired, Tocca says, by a whirlwind romance one spring in the 1940s between a young soldier on leave and a young girl at the fragrance counter of Le Bon Marche in Paris. Vibrant flowers bloom along the Champs-Elysees like first love awakens the spirit. Violette lingers on my skin longer than many of the Tocca scents I’ve tried. I get between 8-10 hours. I think it’s a little more sophisticated than Tocca’s last addition, Graciella. While both seem very feminine to me, Graciella reminds me of a carefree, small-town teenager to Violette’s young woman in her 20s, experiencing life and love in the big city. If you like Tom Ford Violet Blonde, Marc Jacobs Daisy, Ralph Lauren Romance or Prada Infusion d’Iris, you might also like Violette. So, I was a little late jumping on the e-reader bandwagon, but now I’m fully on board! El Hub was sweet enough to share his Kindle with me, so last week I borrowed it to read Bossypants, by Tina Fey, and it was so much fun! Plus, I stare at phones and computer screens all day long, and I figured the last thing I’d want to do is stare at yet another glowing screen. I mean, I’ll always love printed books, of course, but ebooks are also pretty cool. That little finger swipe gesture to turn the pages- FUN! I can whip through the pages. 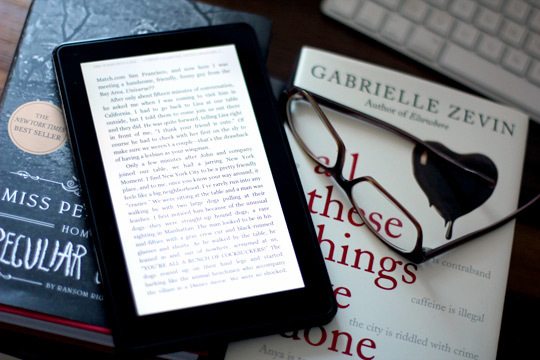 Heck, I probably read faster on the Kindle than I can read a regular printed book, which is a very exciting prospect.